Are you having the connection you want with your dream horse? Do you still remember what your dream was back then? And how is your relationship today with horses? I find this an extremely important question. The majority of horse riders exercise this sport as a hobby - spending your free time and your money. I am having fun with my dream horse! And yet, what we see in the majority of stables is a lot of frustration on both sides, the human and the horse. A lot of misunderstandings are happening, leading to dangerous situations. Out of fear emerges anger, people loose control, both over themselves and the horse, and many of the scenes we see day to day in the usual riding stable are not nice to watch. But you did not start riding because you wanted to be angry at yourself and your horse! Communicating with your horse is not the same as communicating with other human beings. 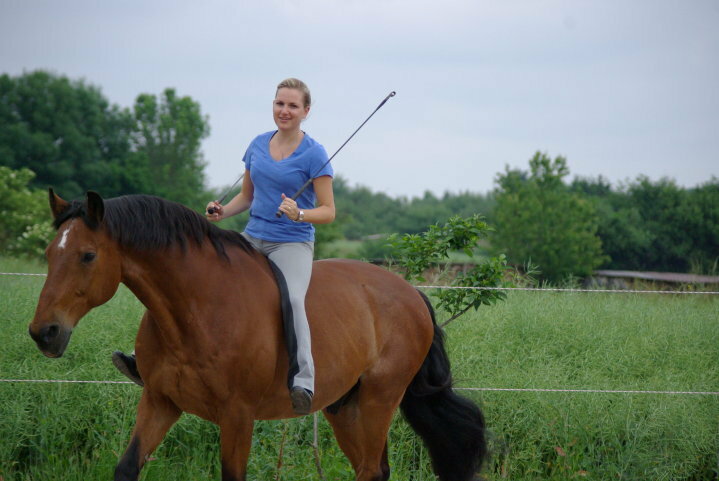 Several differences inhrent to each species need to be taken into account, but when you keep these in mind, you will be able to connect with your horse relatively easy, and actually see it as the dream horse you always wanted to have! Horses have a lot of beautiful skills to teach us. They can and they want to help us to become better humans. Authenticity. Clear communication. How to live together collaboratively and collectively, making sure nobody gets left behind and including everyone in the herd, without judging! 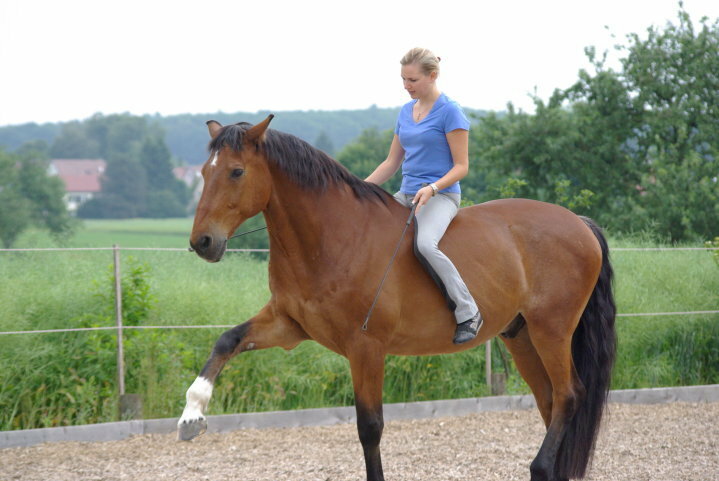 Unfortunately, most riding schools don't teach any other than the traditional ways of communicating with horses, which often involve tools and pain to make sure the human dominates the horse. The problem is that we can only ever control a 600kg living being by force up to a certain degree - once survival instincts take over, the horse will always be more powerful, will be stronger than the rider. This is what leads to dangerous situations and is really just a disaster waiting to happen. That's leaving out the fact that we are teaching children to hit living beings, pull their mouths to cause pain, kick, and again, probably not what parents intended to teach their kids in the first place when they sent them to a riding school. We need to take responsability that the mistake is on our side and we have to change our approach to ensure better communication and a friendly relationship with our horse. We cannot expect the horse, who is already trying hard to please us, to understand what we want if we only speak our "human" language. We need to change the way we communicate as riders and make ourselves understood. Horses are very sensitive, social animals. Their survival depends on noticing everything that's going on around them, and they are amazing at reading our body language - which is a revelation of our inner state of being. If we are angry, the horses senses this immediately. If we are relaxed, our whole body shows this. They always receive these messages clearly, and their mind is simply not programmed to "trick us" or to be malicious. They just react to what they sense and see, with no second thought. If a message is unclear, for example because you are trying to speak softly to the horse trying to calm it down, yet inside you are actually nervous and expecting something bad to happen - well, the horse gets confused and will react to your actual state of being, meaning it will get nervous too. Hence, if your horse does not do what you expect him to do, don't give the fault to the animal. Check inside yourself and first try to find out if you are being congruent or if you are maybe sending out messages unintentionally. I know, this is easier said than done - it is much simpler to give the fault to the horse than to work on ourselves. But if we can open open to this concept, the horses have something very beautiful to teach us - they can help us to become better human beings. Honest, authentic, caring and more self-confident riders. Do you want to try a different approach to connect better with your dream horse? Give me a call! 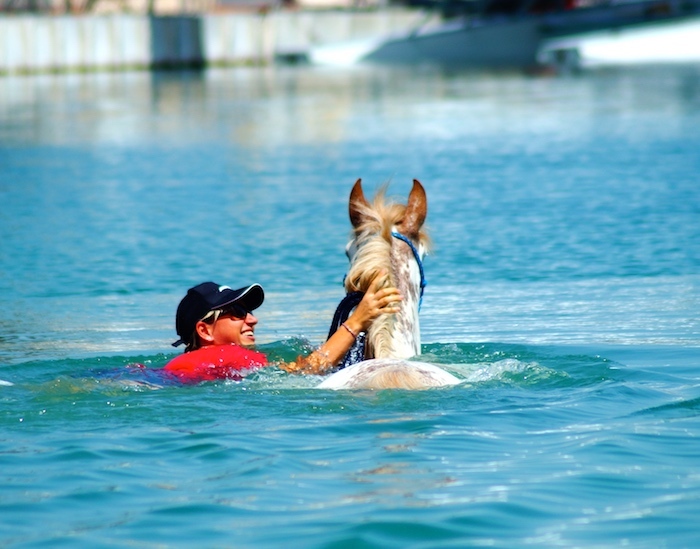 I am based in Dubai and can travel all over the UAE to meet you and your horse.